Over the past week or so, I’ve heard from several readers who are somewhat confused about refundable vs. non-refundable tax credits and, ultimately, what it means to “pay taxes.” As a quick reminder, tax credits directly reduce your tax liability on a dollar-for-dollar basis. In contrast, tax deductions reduce your taxable income (and thus result in a fractional decrease of your tax liability). Before we talk about refundable vs. non-refundable tax credits, we first need to talk about what it means to have a zero tax liability. This is likely old news to many of you, but… Just because you get a income tax refund does not mean that you haven’t paid any taxes. In fact, the tax money that is withheld from each of your paychecks is essentially a pre-payment of your total tax bill. If more is withheld than you ultimately end up owing, you get a refund. Conversely, if you owe more than was withheld, you have to send in additional funds with your tax return (and you might also have to pay a penalty). 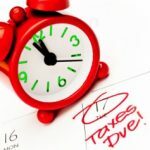 Your total tax liability can be found on line 11 of IRS Form 1040EZ, line 37 of IRS Form 1040A, or line 61 of IRS Form 1040. If this number is greater than zero, then you’ve paid taxes whether or not you get a refund. Now that we’re all on the same page, we can turn out attention to tax credits… As noted above, there are two general categories of tax credits: refundable and non-refundable. The vast majority of tax credits are non-refundable, in that they can reduce your tax liability to zero, but not below. In contrast, a refundable tax credit can reduce your tax liability below zero. As such, refundable tax credits can be more properly viewed as a payment — you’ll still get it even if you don’t owe any taxes. Much of the recent confusion surrounding refundable vs. non-refundable tax credits has been generated by all of the talk about homebuyer tax credits. The original $7500 tax credit for first-time homebuyers is a refundable credit. However, the fact that it’s supposed to be recaptured of the following 15 years makes it more of an interest-free loan than a credit. In contrast, the proposed $15, 000 homebuyer tax credit is a non-refundable credit. Note that the “first-time homebuyer” language has been stricken from this version, and it also won’t need to be paid back. stop complaining, you all are looking for a “credit” also known as a government hand out. you are what the republicans call moochers. get over yourselves. you cry babies are probably going to vote republican, when you are trying get the same welfare benefits you complain about. MAYBE YOU SHOULD EXPLAIN THIS SO THOMAS CAN UNDERSTAND WHY IT’S NOT A “LOAN”. i, too, am one of many taxpayers that feel they have been cheated and mislead. why are we being penalized for buying a house to soon or too late. what good for one american taxpayer should be good for all. just another way for the goverment to screw the people that pay their salarie. Denise- My husband and I took advantage of the market in july 2008. We were also early buyers, like you. 28 weeks later, buyers (my sister included)were given $8,000 for free when she bought. It’s not free, though. You and I will be paying for their free-bee for years to come. I feel very ripped-off. Bill – Your sister will get a $5,000 credit, as the tax credit is limited to 10% of the home value, or $8,000, whichever is LESS. Took advantage of the program and bought a house in Sept. 2008. It’s not fair to GIVE $8000 to the late buyers and OFFER $7500 to the early buyers and then have to pay it back. We early buyers took advantage of the programs that was availible to help fix our economy and this the THANKS WE GET!! I have been unemployed for the greater part of 2009. As a result only taxable amount of UB apply. I do own a home and as such, MTGE INR and Home taxes are written off. Would I be able to write these amounts off and receive a refund if my liability has been met by the amount of my withholding for 2009? In other words could I possibly receive a refund on the MTGE INT and home taxes??? My sister-in-law just bought a house for about $50,000. She only makes about $35,000/year. Would she still get 10% of the value as a refund, or would she get the whole 8,000 due to her low incom? Okay after reading all of this I have a huge question. I bought my house on Jan 16th, 2009. I already filed my taxes back in january when the credit was 7500 and had to be repaid over 15 years. Now I am hearing that it is 8000 and does NOT need to be repaid. Am i stuck repaying my original plan or am i not obligated to pay that back now? So very confused, please help. Thanks. So if I got a 3500 refund for 2008, and bought a house and qualified, I would get the 8,000 on top of my usual 3,500? This seems to good to be true? I saw this same article and doubted their math as well (eventually leading me to this blog). Brad, your examples look correct, I too think CNN messed up. Brad – I saw the same article on CNN Money (http://money.cnn.com/2009/02/13/real_estate/homebuyer_tax_credit_finalized/index.htm?cnn=yes) and I had to laugh. If it worked the way CNN suggests, it would penalize people who withheld a lot in taxes. Let’s say you and I both have 10K in tax liability. You have 10K withheld ($0 refund), and I have 17,995 withheld (i.e. a $7995 refund). Under CNN Money’s scheme, we would both get a 8K refund … $8000 in “new money” for you and $5 in “new money” for me … in spite of the fact that our tax situation (aside from withholding) is identical. Essentially, I gave the government an interest-free loan during the year, and I would be penalized for it. Huh? I have had a couple of tax classes (I was an accounting major in college) and I would be shocked to see something this crazy implemented. I keep reading all sorts of different versions of and interpretations of these refundable tax credits, and I’m hoping fivecent nickel can put this one to rest like usual. I qualify for the $8000 first time homebuyer tax credit. I plan on applying this to my 2008 taxes. I came up with 2 obvious scenarios. I owe the Govt or I get a refund. I’ll say my Federal Tax liability is $6,000 for the year. Scenario 1: I have $5,500 in taxes withheld from my paycheck by my employer (thus, I would owe $500). I apply the $8,000 tax credit and now I receive a $7,500 refund. Scenario 2: I have $6,600 in taxes withheld from my paycheck from my employer (thus, I would get a $600 refund). I apply the $8,000 tax credit and now my refund is $8,600. Is this correct logic? A CNN article explained the 2nd scenario as I would only be getting an $8,000 refund instead of $8,600. How could that be? The Tax credit would only then be basically worth $7,400 just because my employer withheld more money in scenario 2 as compared to 1. Or, is the CNN Writer just incorrect? I feel a little cheated i qualified for the $7500 tax credit but then weeks later another tax credit is approved for $500 dollars more an does not have to be repaid. It should be illegal for them to call it a tax credit. If you have to pay it back, IT IS CALLED A LOAN!